On select dates throughout the 2018 season, Canada’s Wonderland will present its spectacular fireworks display when the Park closes at 10:00pm (weather permitting). You can spend your whole day enjoying over 70 awesome rides, including our newest rides Lumberjack and Flying Canoes. Each of our fireworks shows has a unique, custom-design set to an original soundtrack that you won’t find anywhere else in Toronto! Come celebrate Victoria Day Long Weekend, Canada Day, and Labour Day Long Weekend with some of the best fireworks in the Toronto area!More than 375 man hours go into designing and mounting the show, with 11 separate firing positions and 1,800 firing cues creating a spectacular display atop of our iconic Wonder Mountain. 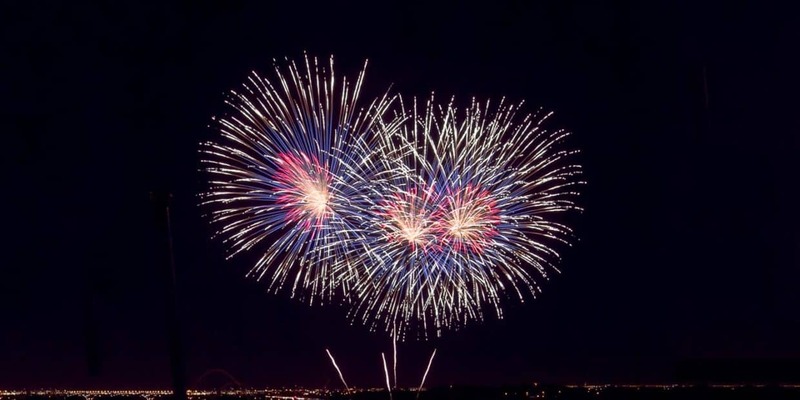 Please note that the fireworks start at approximately 10:00pm; weather permitting. Certain rides are subject to close early on these dates. Tickets : Park Admission – $39.99 and up! For approximately 15 minutes, you’ll witness over 6,000 colourful explosions, reaching heights of over 800 feet, which is sure to ignite thrills for guests of all ages. Posted In Family & Kids' Events. Tagged In Vaughan Events. Please make sure play your firework since weather is permitting instead of disappointing many people who are expecting it.